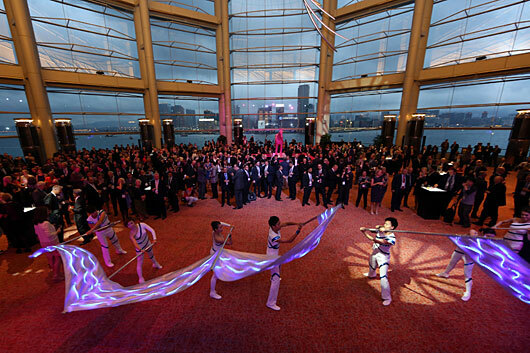 Asian Racing Conference has drawn 800 racing officials, administrators, and executives to Hong Kong, with IFHA executive council a newcomer at global forum. The Asian Racing Conference (ARC) got under way in Hong Kong May 5 with a full agenda of seminars focused on the business of racing, featuring topics such as the future landscape for wagering, the use of cutting edge technology in sports broadcasting, the issue of drug control, the community impact of racecourses, and the international movement of elite horses. A first-time participant at the conference was the executive council of the International Federation of Horseracing Authorities. 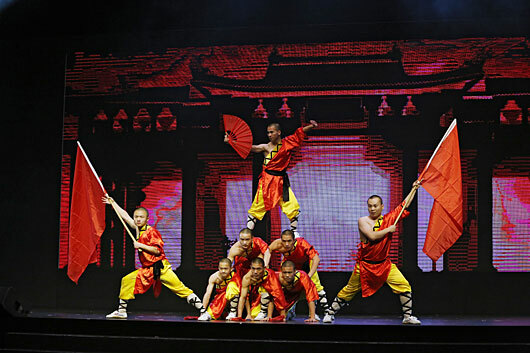 The conference, which runs through May 8 at the Hong Kong Convention and Exhibition Centre, takes place every 18 months or so and is widely considered to be the most important and influential event of its type. Hong Kong has hosted the Asian Racing Conference twice previously, in 1978 and 1991 and this year’s 35th edition of the conference was organized by the Hong Kong Jockey Club in association with the Asian Racing Federation. 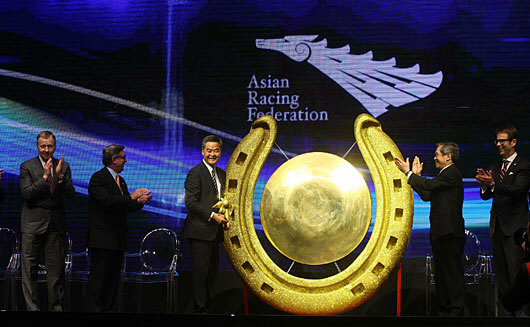 “The ARC is now the largest racing conference in the world and is no longer just a regional gathering but is now one of the major forums and marketplaces for ideas for the racing industry worldwide,” said Asian Racing Federation chairman Dr. Koji Sato in his opening remarks at a stunning opening ceremony to the conference and gala dinner. 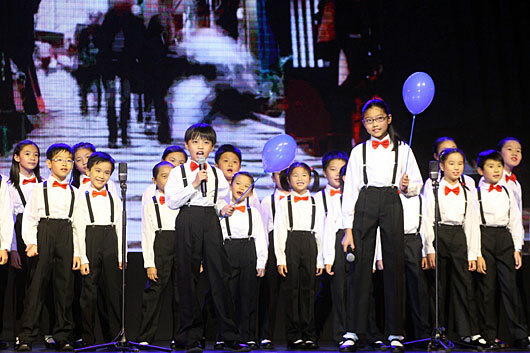 Attending guests and delegates enjoyed a variety of entertainment during the evening (see photos below). The IFHA executive council meeting on day one considered major policy issues, including proposals on the international harmonization of anti-doping control, forensic testing laboratory certification, and the genetic integrity of Thoroughbreds. The council also reaffirmed its strong support for the World Organisation for Animal Health (OIE), which with it is working on issues concerning the international movement of horses, including research into equine influenza. Based in Paris, the IFHA is the world body for Thoroughbred racing. 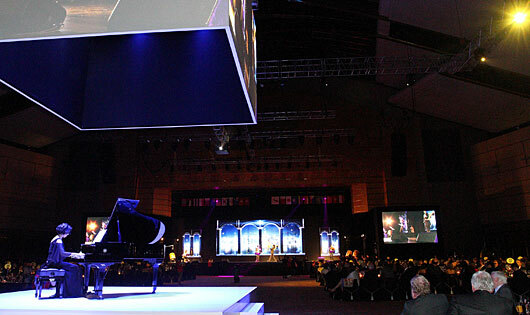 Its major functions include the quality control of International Race Planning and Grading (known as "black type"), the production of the LONGINES-sponsored Official World’s Best Racehorse Rankings, the setting of international standards relating to anti-doping and animal welfare, and the system of racing clearances for international competition. In addition, the IFHA works toward harmonization of the codes of racing rules around the world and on fostering the commercial development of the racing industry globally. 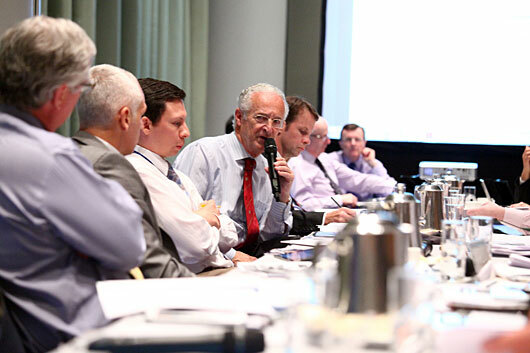 The IFHA executive council is the highest level of governance in world racing. The IFHA executive council, presided over by chairman Louis Romanet, France’s longest serving racing administrator, consists of 13 members drawn from three regions--Europe, the Americas, and Asia. Jim Gagliano, president and chief operating officer of The Jockey Club, is the council’s vice chairman representing the Americas. Brian Kavanagh, chief executive of Horse Racing Ireland is vice chairman representing Europe, and Winfried Engelbrecht-Bresges, CEO of the Hong Kong Jockey Club, is vice chairman representing Asia. The council meets again in Paris in October 2014 in conjunction with the running of the Qatar Prix de l’Arc de Triomphe (Fr-I). Also on opening day of the Asian Racing Conference, the 5th International Stewards’ Conference convened at Happy Valley Racecourse. Chaired by Kim Kelly, the Hong Kong Jockey Club’s chief stipendiary steward, the conference was attended by 71 delegates representing 28 racing jurisdictions. One of horse racing’s most important rules is the protest/objection rule, which until relatively recently was operated in several different ways around the world. This issue was highlighted at the 31st Asian Racing Conference in Dubai in 2007, since then great progress has been made to harmonize the rule internationally, thanks to discussions held during previous International Stewards’ Conferences and meetings of the IFHA’s International Harmonisation of Raceday Rules Committee. There was further welcome news on that front at the Stewards’ Conference, when Yoshihiro Nakamura, chief steward of the Japan Racing Association informed delegates of the results of a change to the protest/objection rules in Japan that had taken place in 2013. The JRA had changed to the ‘Category 1’ philosophy which is widely used throughout Asia, Australasia, Great Britain, India, Ireland and South Africa. Nakamura reported that in 2012, there were 142 protest/objection inquiries conducted, with a change to the judge’s placings being made on 21 occasions. Of these 21 instances, seven horses were disqualified as a result of being found to have caused interference which affected the result of the race, irrespective of where in the field the offending horse finished. By contrast, during 2013 there were just 25 inquiries with only one change to the result of a race. Further, there were no horses disqualified from a race for having caused interference. 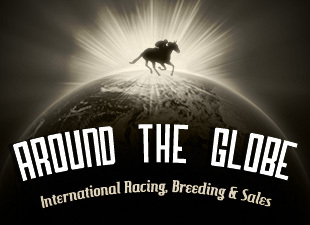 Against the background of events in various parts of the racing world over the past few months, another significant discussion at the Asian Racing Conference was held on the subject of the level of penalties that should be applied to serious offences, including the use of anabolic steroids and issues relating to animal welfare. On that subject, the conference noted a report from Johan Petzer, chairman of stewards at Thoroughbred Racing South Australia, concerning the introduction in Australia of mandatory minimum penalties relating to offences involving prohibited substances and animal welfare. Some of the other subjects discussed on a wide-ranging agenda were: the provision of information by stewards to the public through mainstream media and the increasing use of social media platforms; a study currently being conducted in Hong Kong regarding the health, fitness and welfare of jockeys; rules applying in certain jurisdictions regulating or prohibiting medication/treatment being administered to horses on or leading up to the day they are to race; and the benefits of interaction between stewards and Security & Integrity departments. Looking toward the increasing internationalization of racing, further presentations examined: the possibility for protest/objection hearings being conducted in a harmonized manner around the world; and the merits of having jurisdictional gear/equipment registers to assist connections given the ever increasing movement of racehorses between countries. “It is very fitting that the ARC is being held here in Hong Kong,” said Sato, also the Japan Racing Association's presidential counselor for foreign affairs. “Hong Kong is one of the leading racing jurisdictions in the world. It is a global giant in terms of its wagering operations, it stages spectacular international racing events and it has a highly respected role as a major contributor to charity and to the community. “Between our 21 ARC members we now run over 55,000 races a year, almost 40% of the total worldwide,” he said. “We generated US$75 billion of turnover in 2012, nearly 60% of all the money wagered globally on horse racing; and we have developed substantial breeding operations, foaling some 35,000 high-quality Thoroughbreds a year, again close to 40% of the world total. Most important of all, the ARF has become well-recognized for its innovative ideas, promoting the development of the sport. “The Asian Racing Conference is a global forum for industry leaders from around the world to meet together, identify emerging issues, and to develop new strategies. Full members of the Asian Racing Federation are: Australia, Bahrain, Hong Kong, India, Japan, Korea, Macau, Malaysia, Mauritius, New Zealand, Oman, Pakistan, Philippines, Qatar, Saudi Arabia, Singapore, South Africa, Thailand, Turkey, United Arab Emirates, and Vietnam. Mongolia is an associate member, and Indonesian, Kuwait, and Turkmenistan are affiliate members.